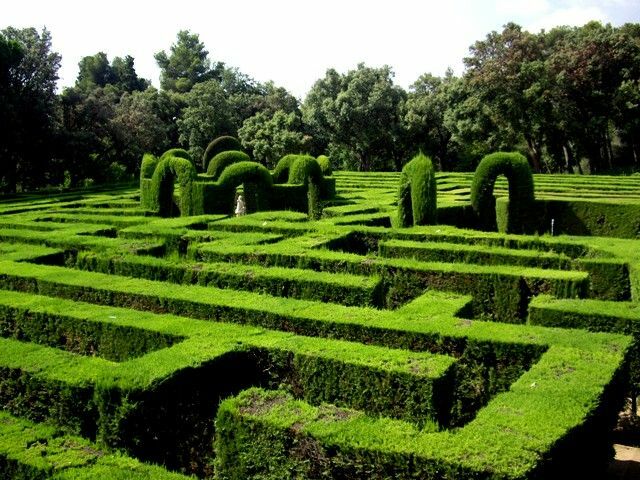 If you wish to rest and get away from all the crowd in the city, a good option is to spend a morning visiting the maze of the “Laberint d’Horta”. You can easily get there with the Green subway line (L3) to the Mundet Stop. This is considered the oldest park in Barcelona, with a neoclassical garden of the XVIII century and a romantic garden of the XIX century. It is located on the edge of the Collserola mountain range wich surounds Barcelona. After relaxing the spirit admiring those magnificent gardens, you can enjoy a good meal in any of the “country house” restaurants located in the suroundings and to which you can get to with a short walk. Can Cortada is a gorgeous country house of the XI century. Can Travi is the other restaurant.